Tribute honoring America’s most prolific playwright, Tennessee Williams. 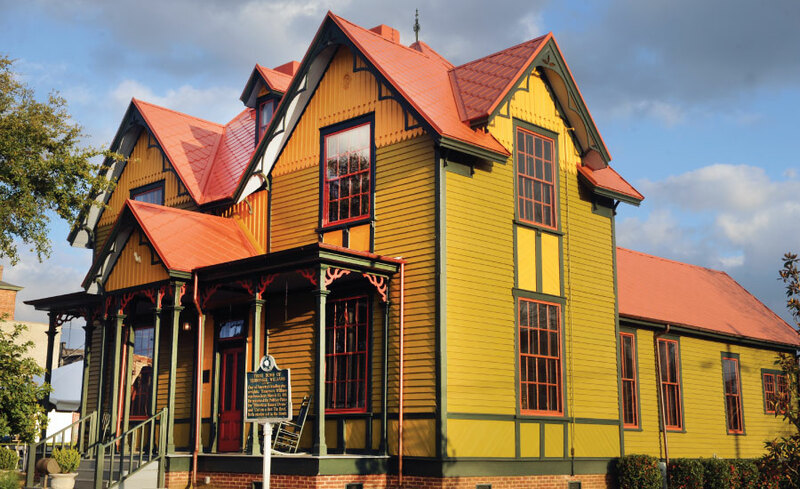 Enjoy plays, forums, exhibits, and Victorian home tours. The annual Tennessee Williams Tribute celebrates the great playwright and poet in the town of his birth through varied programs of scholarly lectures, dramatic presentations, and social gatherings in which the renowned “Southern hospitality” is abundantly in evidence. In 2001 Brenda Caradine began this annual commemoration by staging Williams’ classic play The Glass Menagerie. In the years that followed, she singlehandedly produced many of his works, promoted new scholarship and took Columbus’ productions to Provincetown, Mass. to be included in the preeminent theater festival devoted to his work. Scores of local actors have enjoyed the rare opportunity to perform iconic roles in incredible plays – from Cat on a Hot Tin Roof to A Streetcar Named Desire. Through Mrs. Caradine’s friendships over the years, she has brought rare artifacts from Williams’ personal life back to his birthplace in Columbus, including the Poet’s Laurel Wreath, which rested upon his chest at his funeral, and an Episcopal priest’s cross worn by his beloved grandfather. These items can be viewed in the home where Williams lived as an infant, now occupied by the Columbus Visitor’s Center. To learn more, visit tennesseewilliamstribute.org.